Today, US Defense Secretary Robert Gates was in Paris to meet President Sarkozy, and his French counterpart, Minister of Defense Herve Morin. The meeting followed the announcement made today by Tehran of its plan to produce 20 percent enriched uranium to fuel its nuclear reactors. The new move by the Ahmedinejad administration is in blatant contradiction to the one made late last week when Iran indicated that they would be open to have the uranium enriched elsewhere, either in Russia or France. 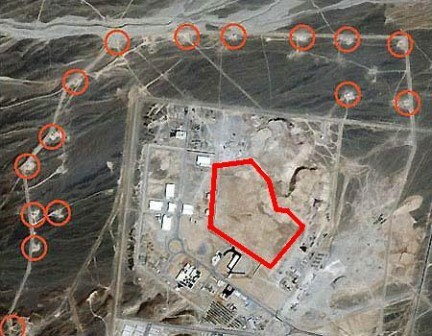 Six nations are currently dealing with Iran’s nuclear program. The group is composed by the US, China, Russia, the UK, Germany and France. Of this group, the US and France are the ones advocating for the toughest sanctions against Iran. “The international community has offered the Iranian government multiple opportunities to provide reassurance of its intentions. The results have been very disappointing,” said Secretary of Defense Gates. During the meeting Gates asked France to submit a new resolution on sanctions against Iran at the United Nations Security Council. France is holding the rotating chair on the UN Security Council this month. The United Nations Security Council has five permanent members which are the US, China, Russia, The UK and France. “The US and France will push for new UN sanctions against Iran over its nuclear program. Secretary Gates and I spoke about our respective positions. We are in complete agreement,” said Minister of Defense Morin. In order for the new resolution to have a real effect, the five permanent members of the UN Security Council must be in agreement over the term of the resolution. 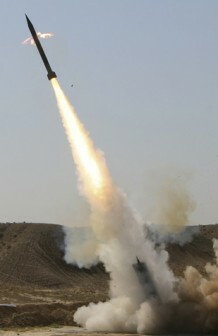 Russia has given indications that they would be on board with the US, the UK and France to get tougher on Tehran. However, China, which has a veto power, could block the resolution or make it noneffective. The recent tensions between Washington on Beijing over the sale of weapons by the US to Taiwan will not be helpful to get a resolution passed. China’s economy relies on Iranian oil, and it is unlikely that Beijing will be willing to go with an international freeze on oil and natural gas export from Iran, which would be the only way to put real pressure on Ahmadinejad regime. If China decides to play ball on Iran, they are likely to ask for something in return. US and France: Iran nuclear treat , is the only issue on which we can stand together right now !